When you think of Kentucky, chances are you’ll first think of its famous derby, affectionately known as the Greatest Two Minutes in Sports. Once the lightning fast horses gallop through your mind—and you have perhaps then thought about Kentucky’s equally famous fast food fried chicken restaurant—you’ll probably think of bourbon. 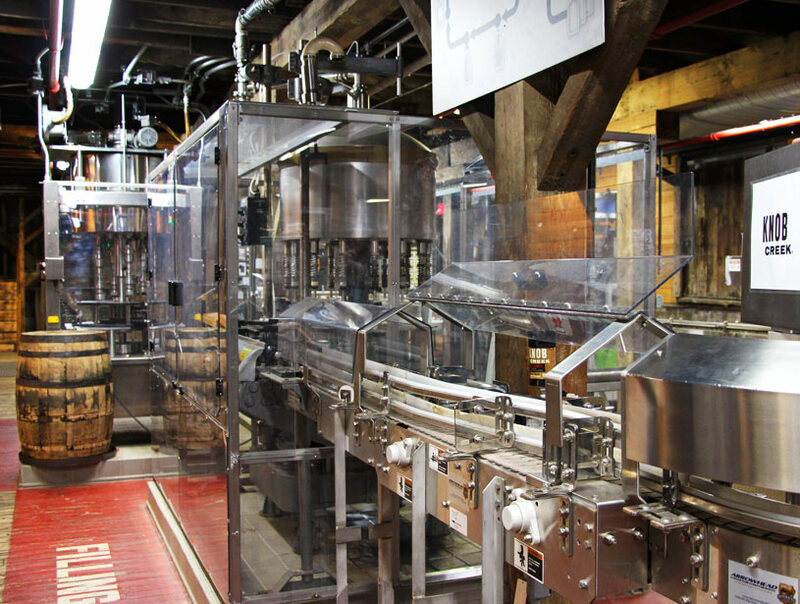 Bourbon has deep roots in American history; its production dates back to the late 1700s, right around the time when the United States declared its independence. That’s why, as Adam and I embarked on our journey to Louisville, I tried to convince myself that our weekend was just as much a lesson in our country’s history as it was a drinking trip. Crossing state lines just to spend a day getting drunk doesn’t sound like the mature thing to do. 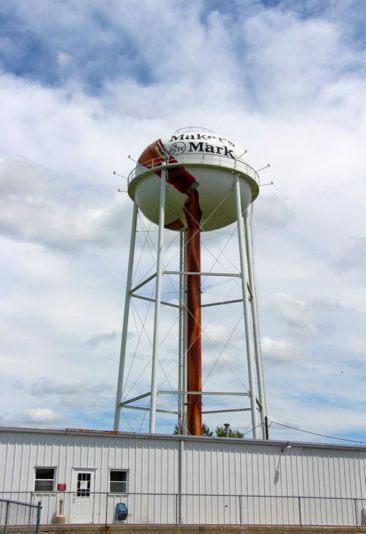 Visiting a nearby state to learn about the role bourbon plays in Kentucky’s economy and culture sounds far more responsible. (Yeah, yeah, I know. It was still a drinking trip). Adam and I spent a truly wonderful day visiting four distilleries with my father and his good friend and college roommate Steve. In between tastings, though, we learned quite a bit about bourbon’s history and distillation process. 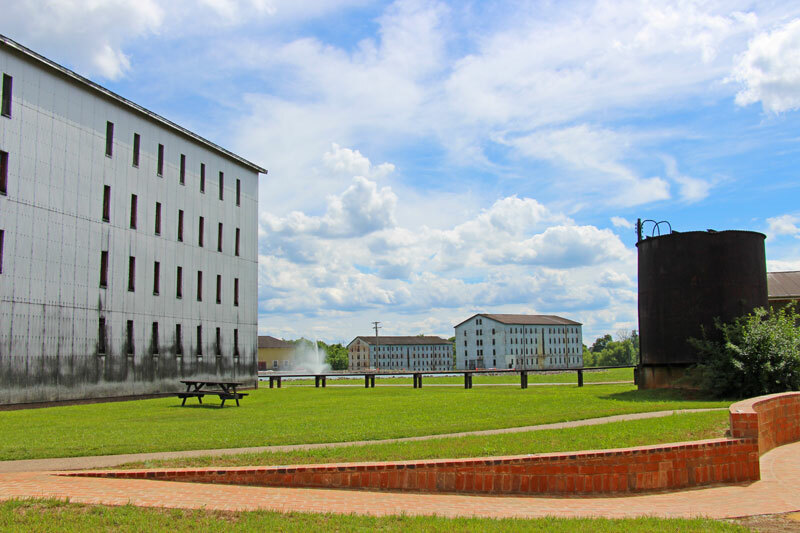 If you have ever considered planning a trip to the Kentucky Bourbon Trail, here’s what you need to know—plus our thoughts on the distilleries we visited. bottled at no less than 80 proof. Interestingly, there are no requirements regarding the length of time bourbon must age in a barrel. 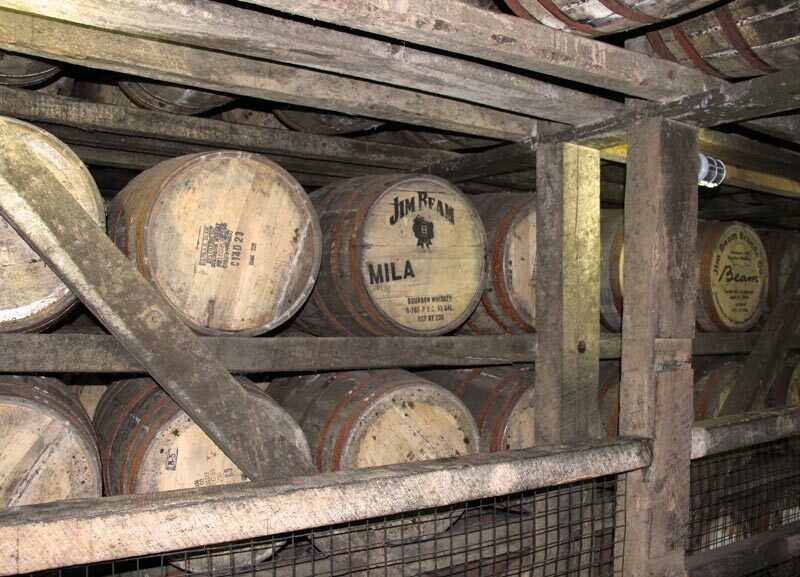 The only age requirements come into play for products labeled as straight bourbon, which must be aged for two years. In addition to straight bourbon, you will also see single barrel bourbons, which are bottled from only one barrel, and small batch bourbons, which are bottled from a few barrels and are not as commonly produced. What is the Difference Between Bourbon, Scotch, and Whisky? All bourbon is whiskey, but did you know that not all whiskey is bourbon? There are a few differences between them and scotch, another similar product. 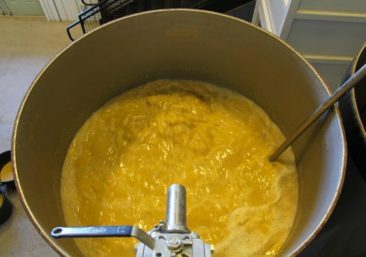 The differences between bourbon, scotch, and whisky primarily boil down to geography, aging, and the type of grain mash used. 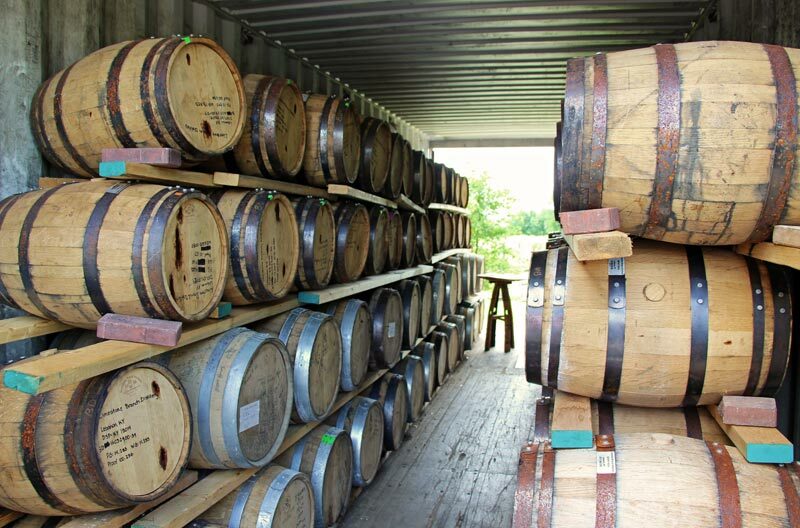 Bourbon must be produced in the USA, be made up of at least 51% corn mash, aged in a charred oak barrel, and, for the most part, does not have an aging requirement in terms of time spent in the barrel. 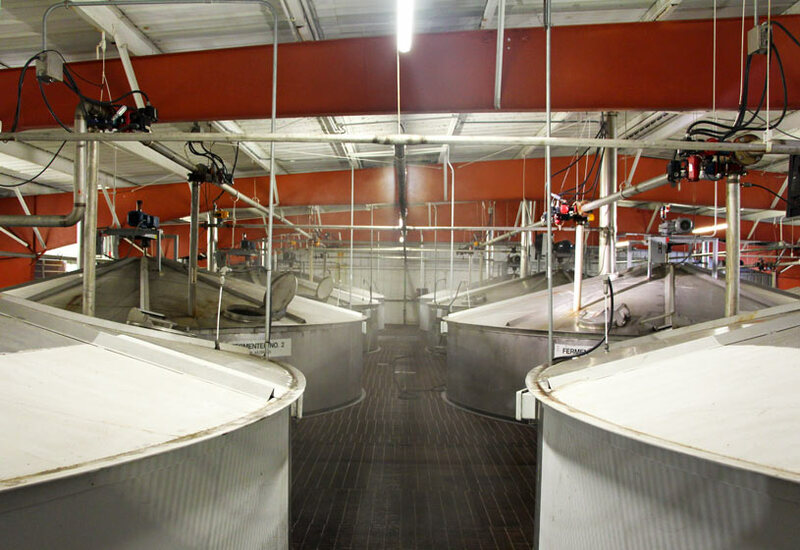 Only water can be added to the bourbon production process; no artificial colors or flavors can be added. Scotch must be produced in Scotland, be distilled from primarily malted barley, and age in oak barrels for at least three years. 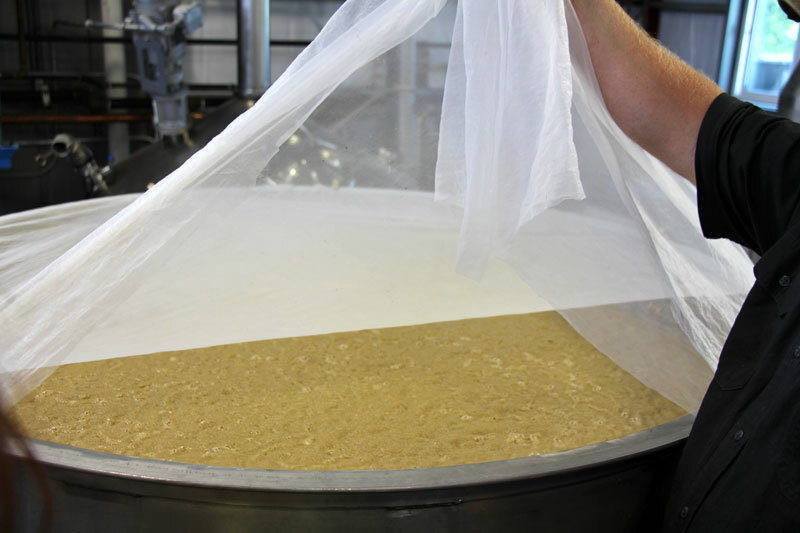 Whisky (or whiskey) can be produced anywhere and from a few different grains (including corn, rye, barley, and wheat). 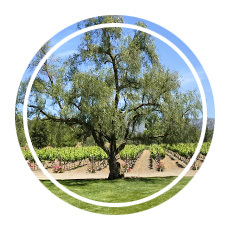 Aging occurs in charred oak barrels, and there is no aging requirement. 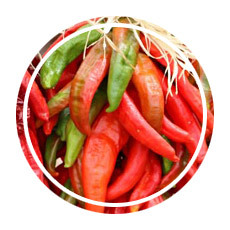 Coloring and additional flavors can be added. 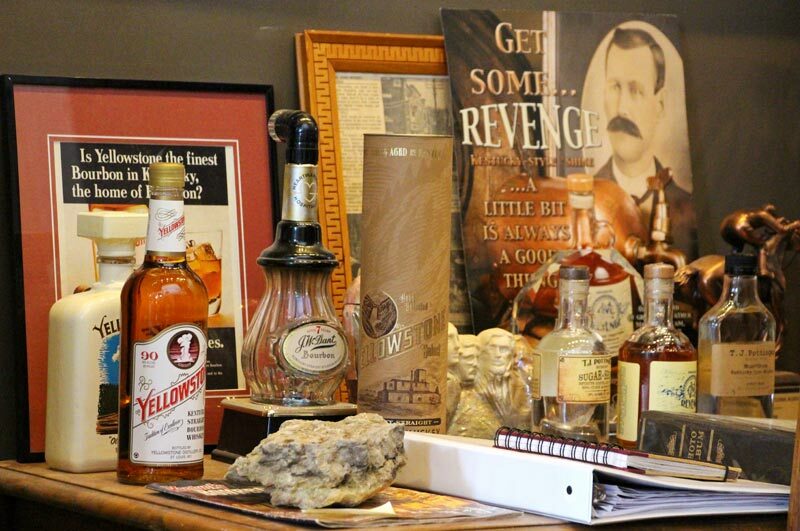 If you ask about bourbon’s origins, you are likely to get several different stories about the people who created it, but the truth is there wasn’t a single inventor. The practice of distilling grains in charred barrels derives from Europe, and it’s likely that Scottish and Irish settlers brought the production methods with them when they came to the USA. Bourbon was distilled throughout the 1800s, but a hard stop ceased production with the onset of prohibition in 1919. Prohibition lasted from 1920 until 1933, and it was a constitutional ban on the production, sale, and transportation of alcoholic beverages in the United States—not one of the happiest periods in the country’s history. When Prohibition ended, distilleries slowly started to return. 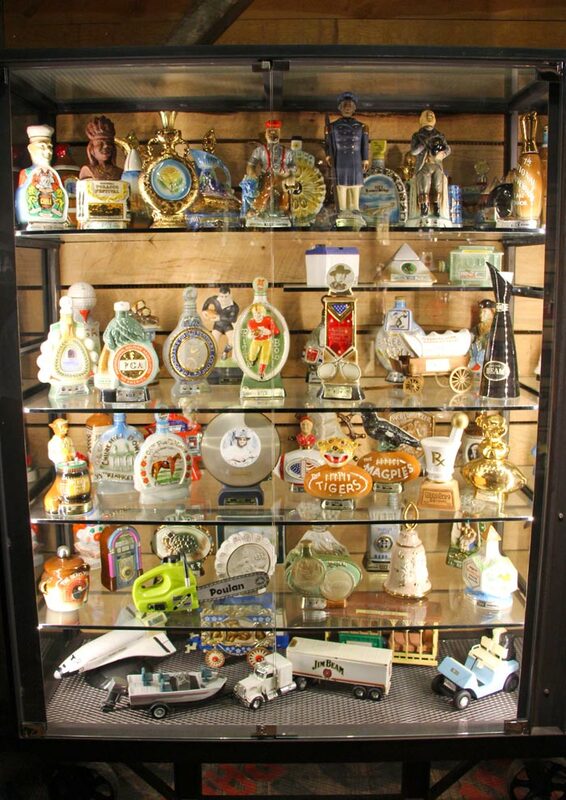 In 1964, Congress voted to ban the importation of bourbon whiskies produced outside of the USA, thereby creating one of the requirements that bourbon must meet in order to be called as such in the United States. 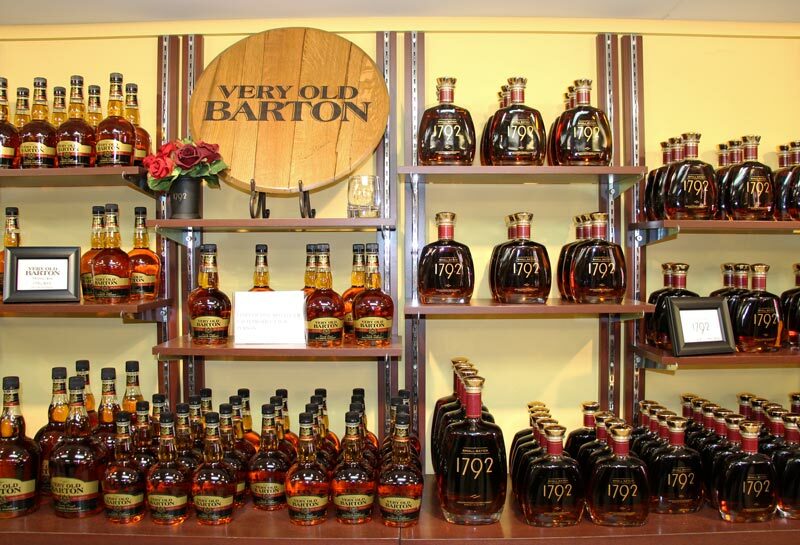 Any history of bourbon would be remiss to overlook the influence of the Beam family. 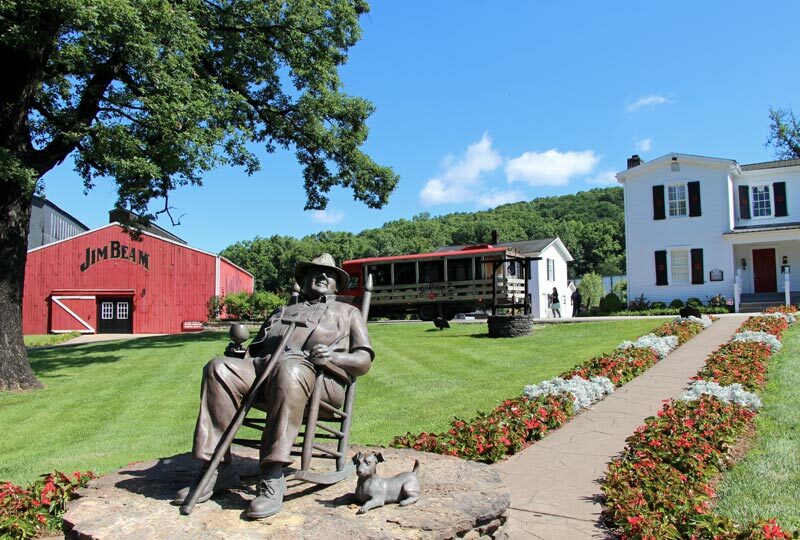 Jim Beam is perhaps the most famous distillery in Kentucky, and the Beam family’s role impacted not only their own production but many other distilleries in the state. Jacob Beam sold his first barrel of bourbon in 1795, and since then seven generations of Beam family members have had a role in perfecting their product and growing their production capacity and distribution. 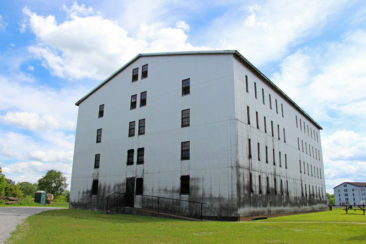 The Beam family also has roots in a few other distilleries including Heaven Hill and Limestone Branch. 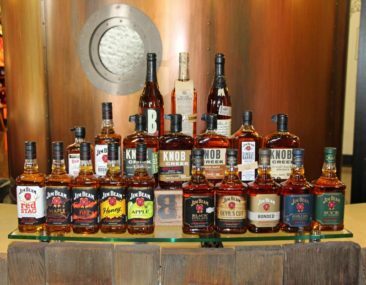 Today, there are more than 30 bourbon distilleries in Kentucky, and you can find more than 200 different bourbons in total. 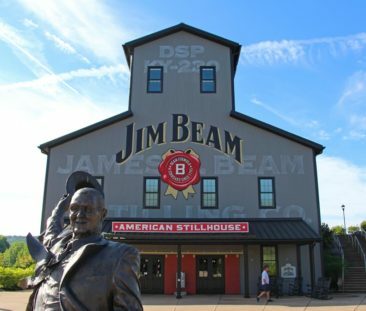 When you plan a visit to the Kentucky Bourbon Trail, you’ll be visiting any or all of the distilleries that are part of it, including: Angel’s Envy, Bulleit, Evan Williams, Four Roses, Heaven Hill, Jim Beam, Maker’s Mark, Town Branch, Wild Turkey, and Woodford Reserve. 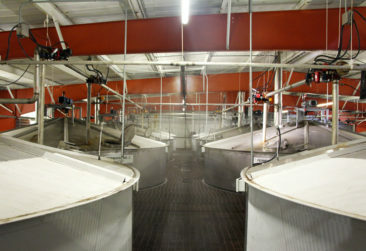 Most of these distilleries are large production facilities with well-organized tours. 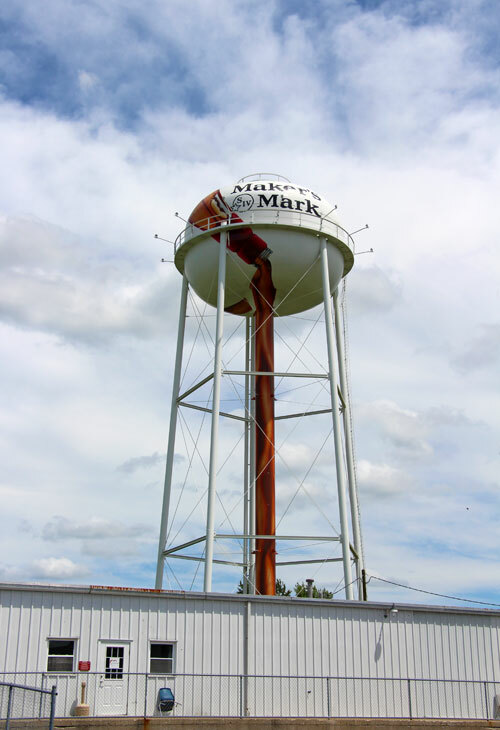 They attract large crowds, but you’ll learn a lot about the distillation process and earn a stamp in your Bourbon Trail passport at the same time (if you get a stamp from each distillery, you can send your passport in for a free t-shirt!). 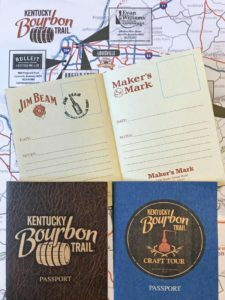 Kentucky Bourbon Trail Passports- Collect a stamp at each distillery! 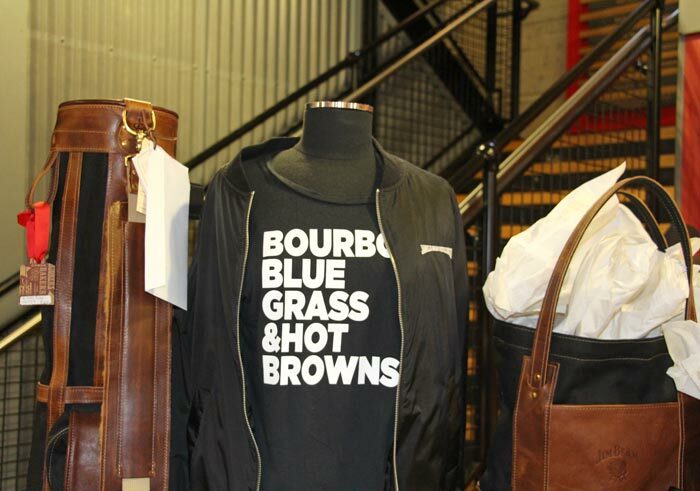 The Kentucky Bourbon Trail is a lot of fun, and completing it is a nice accomplishment for bourbon connoisseurs, but if you’re not visiting for the free shirt consider visiting a few of the distilleries on the Kentucky Bourbon Trail Craft Tour. 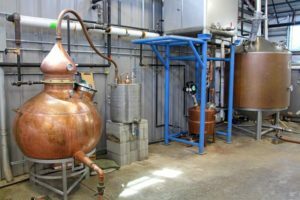 The craft version of the trail highlights some of the micro-distillers who are producing smaller quantities of bourbon. While the tours are not always as detailed—and in some cases they are self-guided or non-existent—they provide a smaller, more personalized look into the bourbon distillation process. 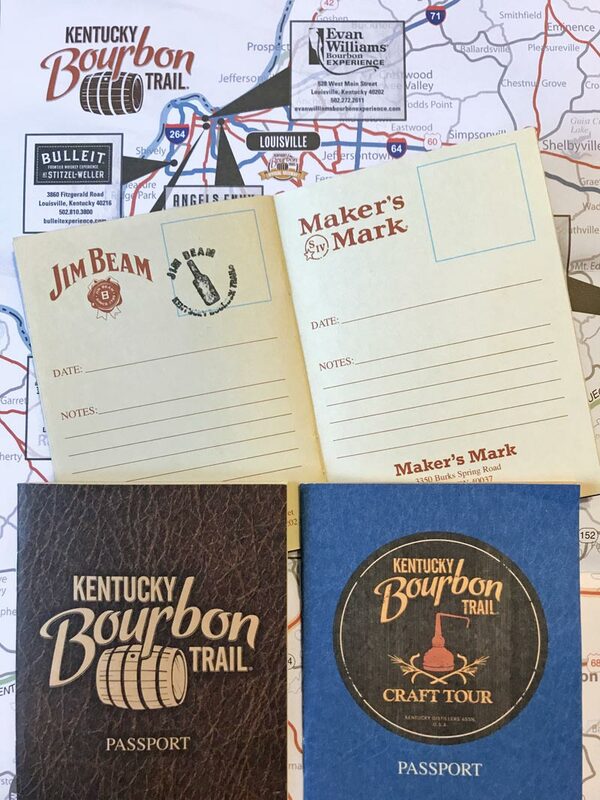 As an added bonus, if you collect all the stamps from the Craft Tour, you will be rewarded with one final “completed” stamp and an engraved Mint Julep Cup. Which trail should you pick? 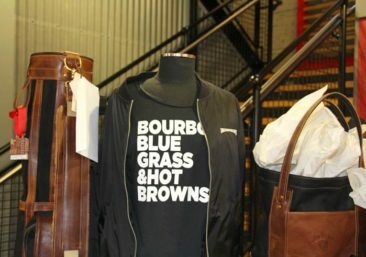 The most popular is the regular Bourbon Trail, so that should be your choice if you want Kentucky Bourbon Trail bragging rights, a shirt, and the classic experience. 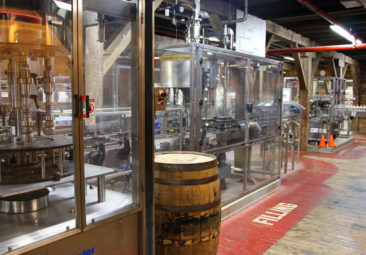 If connecting with the distillers, intimate tastings, and small batch bourbon is more your speed, try the Craft Bourbon Trail. 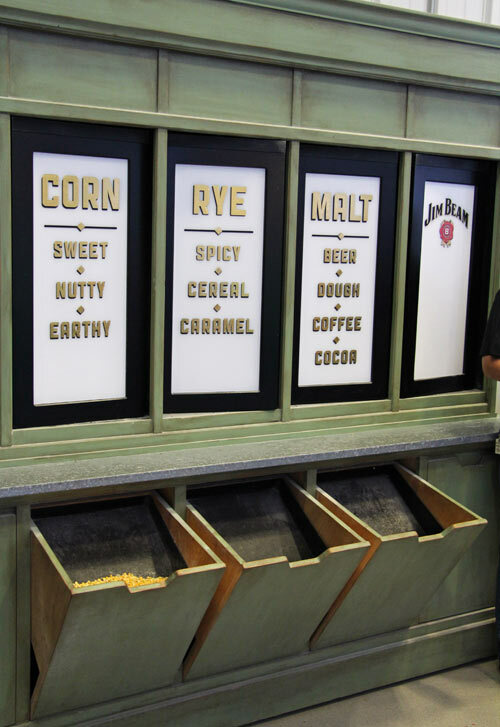 Better still, mix and match distillery visits and create your own completely customized bourbon experience! That’s what we did, and we ended up with a day tour that surpassed our expectations. Keep in mind that you won’t be able to visit all of the distilleries in a single day— even a weekend could be cutting it close. 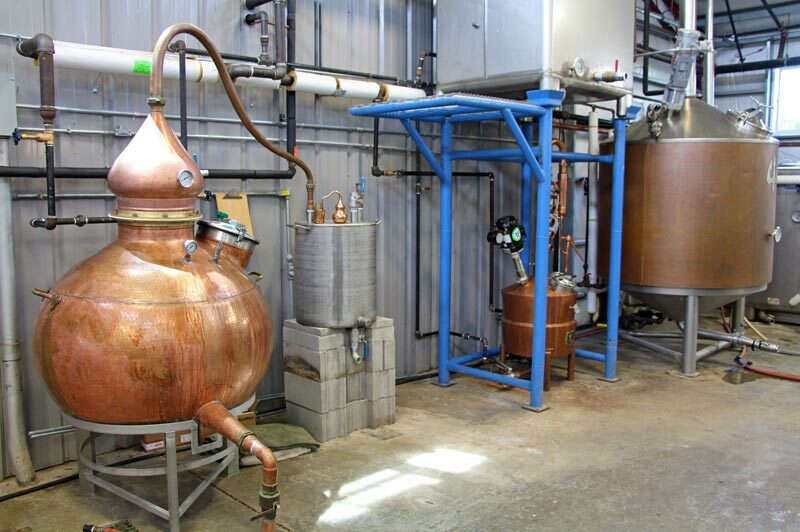 Many distilleries require you to take a tour that can last as long as 90 minutes, and many close between 3 and 5 PM. 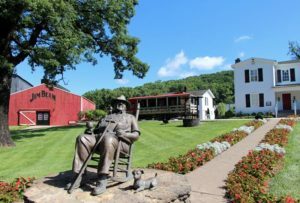 Adding in driving time between them, you should expect to visit no more than 3-4 distilleries in a day and plan to spend 2-3 days on the classic Kentucky Bourbon Trail and even longer on the Craft Bourbon Trail. Also, your starting point will help determine which distilleries you should prioritize. 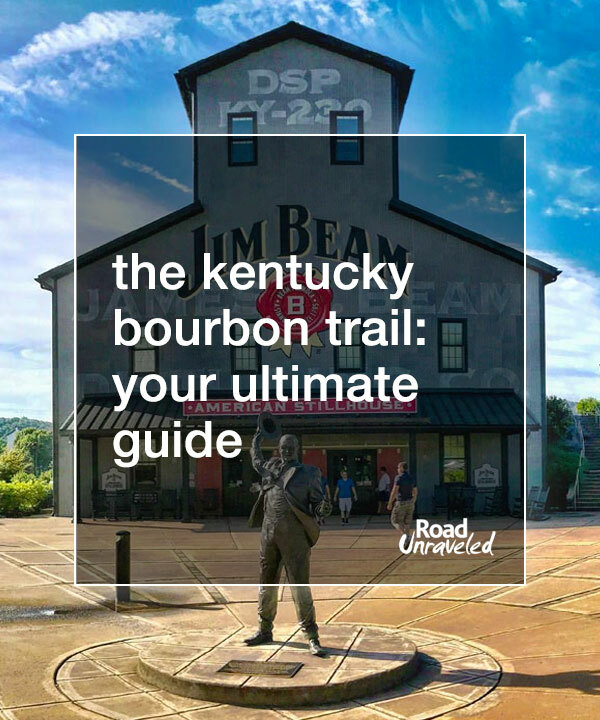 Starting from Louisville will position you closer to distilleries on the western side of the trail, while Lexington and Frankfort are closer to the eastern distilleries. Sure, you can visit a one or two in each region in a day, but the driving time will cut into your visiting time. 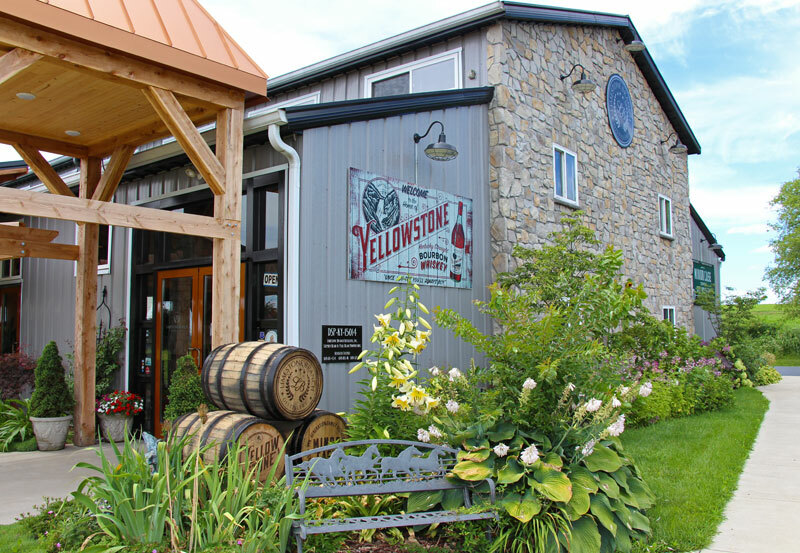 If you have only one day, pick distilleries that are within close driving distance to maximize your experience. We plotted out the main Kentucky Bourbon Trail distilleries in the map below. We also added a few of our favorite places in the region like the Louisville Slugger Museum, the Muhammad Ali Center, and the Brown Hotel. 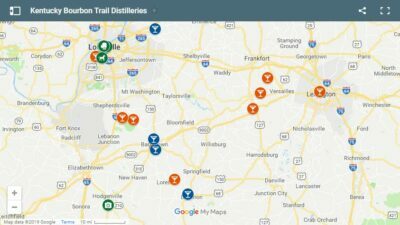 The Craft Bourbon Trail tour stretches over a larger distance, so we only included a few of our favorites from that list in the map. The link above has all the information on the locations of the craft distilleries if you are looking to plan your trip. 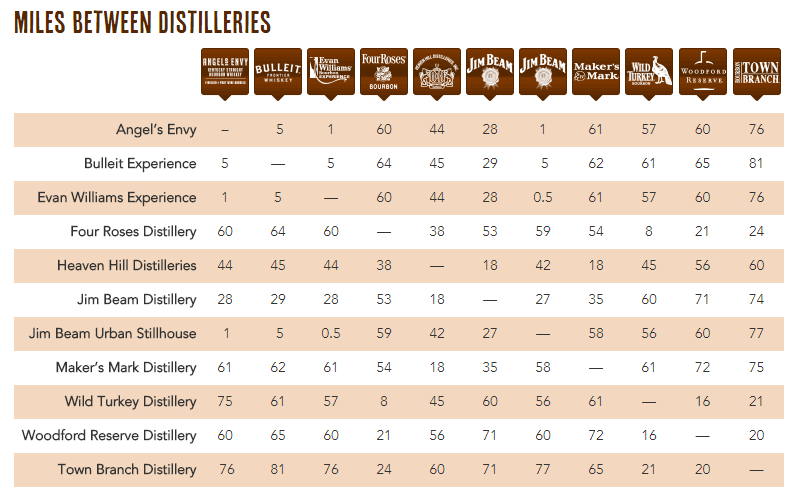 This chart from the official Kentucky Bourbon Trail website provides a great overview of the distances between the main bourbon distilleries. There are a lot of options when it comes to charting your course. Some people opt to drive themselves to the distilleries; be sure you have a designated driver if that’s your plan. 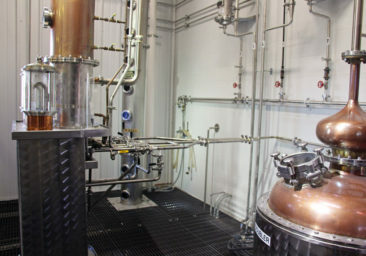 Distillery visits do include tastings, and it’s very easy to get tipsy even though each sample ranges from ¼ – ½ ounce. Shared tours are also popular, and several companies offer set itineraries that usher groups around for the day. How did we do it? We hired a stretch limo for the day. We created a customized itinerary based on my research and Steve’s experiences (he is a Kentucky Bourbon Trail veteran! ), so we had the maximum amount of freedom to enjoy a personalized itinerary. Plus, it was fun to pretend we were luxury travelers for a day! 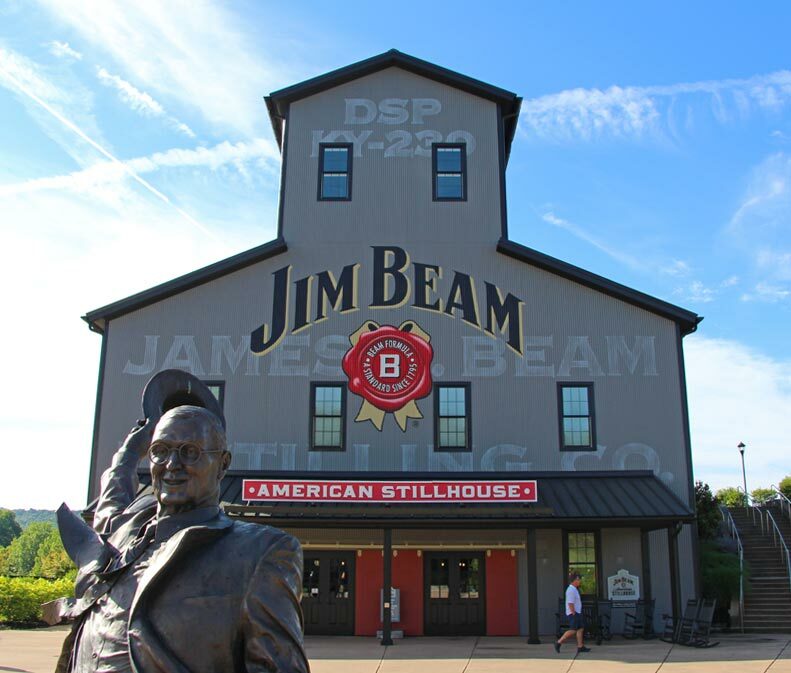 If you are going to visit just one distillery, it should be Jim Beam. 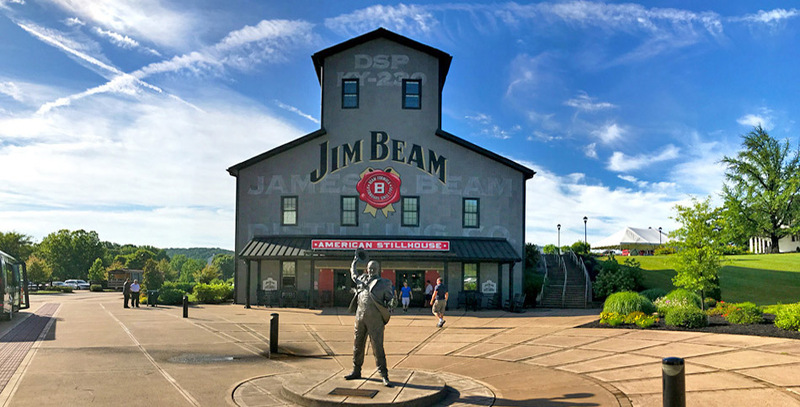 Jim Beam provides the experience, the history, the knowledge, and the tastings that combine to create a really well-rounded visit. 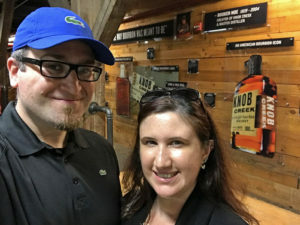 We booked our tour in advance and started our day there, and over the course of 90 minutes we enjoyed a full introduction to the distillation process, an overview of the Beam family and their role in Kentucky bourbon, and a nice tasting to conclude our time there. 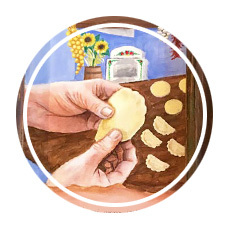 The tour itself is primarily a walking tour; we walked through rooms that house each step of the process and learned quite a bit about the terminology they use and the amount of time each step takes. 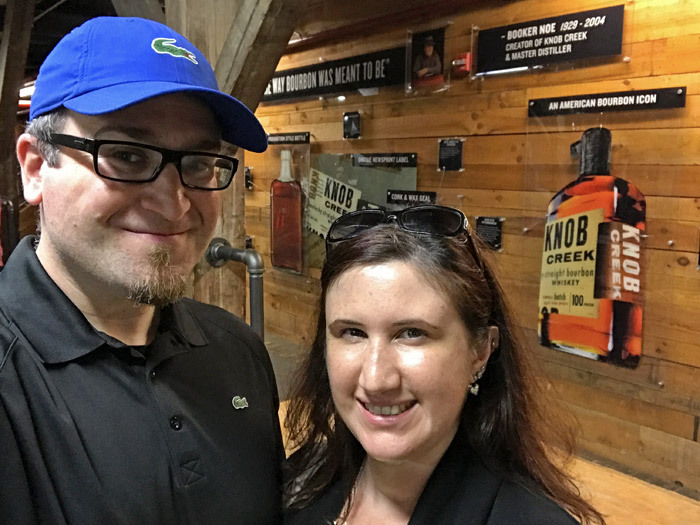 My favorite part of the tour was the opportunity to try bottling Knob Creek bourbon! Anyone who is interested is able to select a bottle, rinse it with bourbon from a special machine, and add it to a conveyor belt where it is filled and labeled. Once that part was complete, I reclaimed my bottle and took it to a staff member who dipped the top in wax and let me add my fingerprint to it—proof that I was the one who helped with that particular bottle! At the end of the tour, we were able to buy our bottles if we were interested. My dad and I purchased ours, but we both agreed we won’t be opening them in the future—it’s too cool a souvenir in its unopened state. As the tour concluded, we spent about 15 minutes in their unique tasting room where we could pick three bourbons to sample. Instead of gathering around a bar for a tasting as we have at wineries and breweries, we were given plastic cards that were preloaded with three tastings. 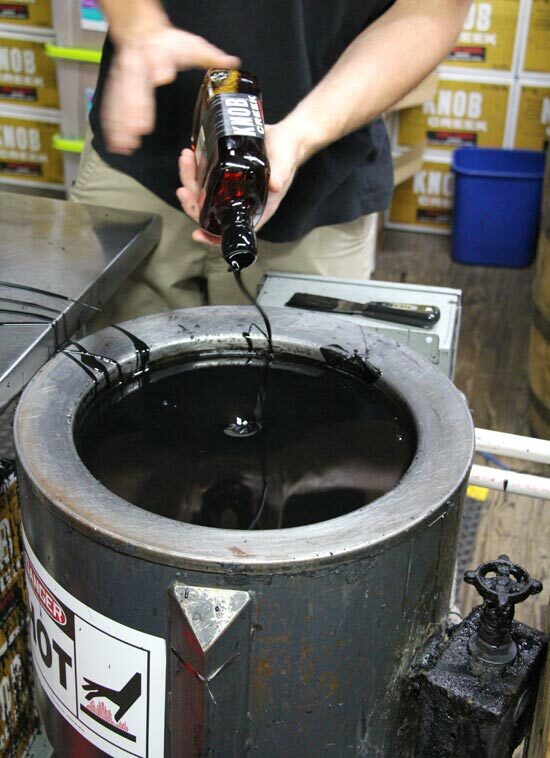 We inserted our cards into one of the machines scattered throughout the tasting room, selected a bourbon we wanted to try, and a half ounce pour dispensed into our glasses. I couldn’t resist trying the vanilla bourbon; I’m not typically a fan of flavored bourbons, but the vanilla version was brand new and hadn’t been released yet, and it was fun to try something before mass distribution! I also tried Basil Hayden’s, a rye bourbon that is smooth and full of caramel and vanilla, and Booker’s, which is big and smoky with lots of fruit. 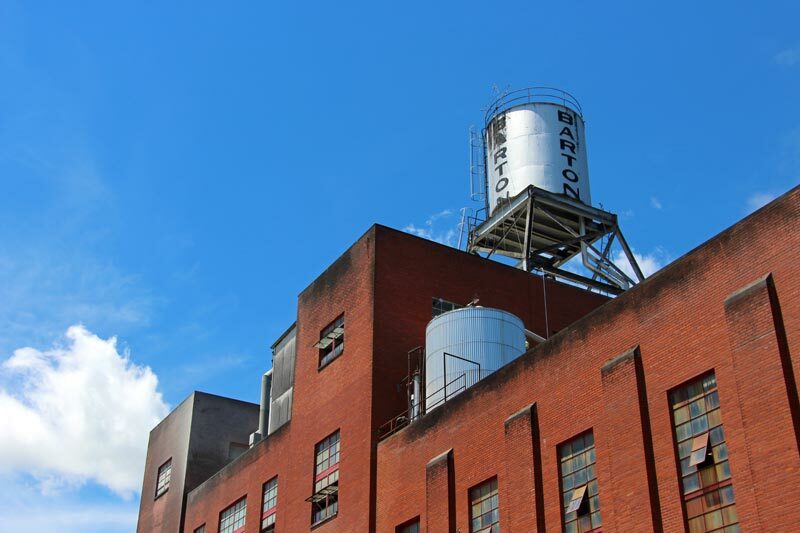 Barton 1792 Distillery made our list because it’s one of the oldest fully-operating distilleries in Kentucky. Having just finished the Jim Beam tour, we passed on Barton’s tour (even though they are complimentary) and opted to stay in the tasting room to try a few bourbons. We had a chance to try three samples, and it was a terrific experience. Barton’s signature bourbon was an easy favorite; it had a lot of caramel and vanilla notes and had a very smooth finish. The surprise favorite for all of us, though, was the chocolate bourbon ball cream liqueur. Put up against a liqueur like Bailey’s I would choose it every time. To make it even better, we paired our sips with a bourbon ball to see how the chocolate affected the taste and experience. We bought a bottle to bring home with us; Adam and I needed no discussion about making that purchase! 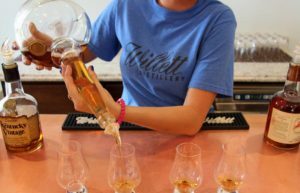 Willett Distillery enjoys a long history in historic Bardstown, which is recognized as the bourbon capital of the world. Dating back to 1936, the Willett family has been distilling bourbon in small batches ever since. To me, this felt like the classic bourbon tasting experience. It was no frills, no flavored bourbons, and no nonsense; the bourbons we tried were simply excellent. We started with their flagship Pot Still Reserve, which had the smooth vanilla and caramel notes we were so accustomed to tasting. It was easily one of my favorite bourbons of the day. We each tried a different bourbon for our second choice; I selected the rye, which didn’t taste much like a traditional rye whiskey to me. It was much easier to drink and had a bit of an herbal, woodsy-like finish, tasting a bit like the oak it aged in but with a little bit of a spiciness that I wasn’t expecting. 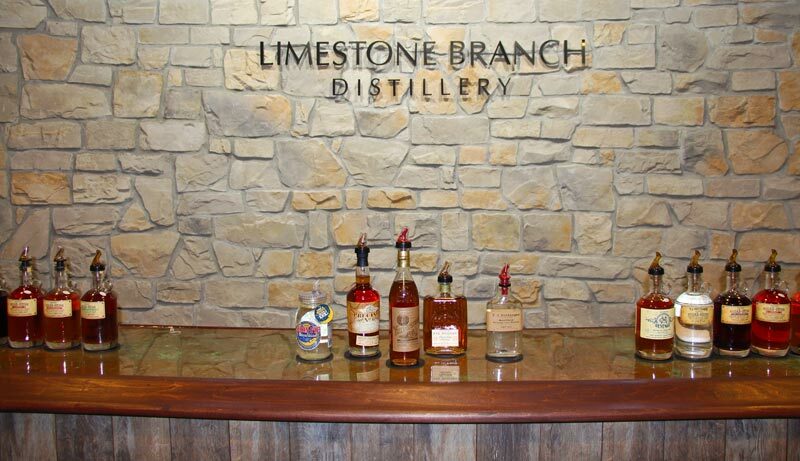 Of the distilleries we visited, I had the most fun at Limestone Branch. We started with a lovely overview of the distillery’s history, which surprisingly started with the Beam family. 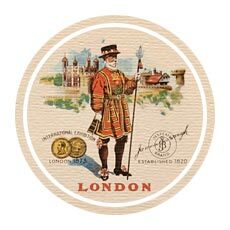 This time, though, it was Minor Case Beam who carried the torch; his descendants carried on the distilling tradition (even through Prohibition, which sent Minor Case’s son Guy across the Canadian border when such activities were illegal in the USA). 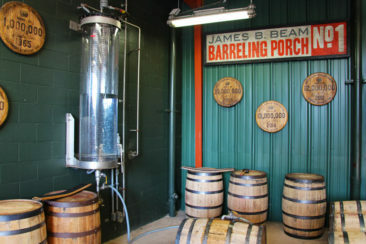 Today, the Beam family owns and operates Limestone Branch, although it is distinctly separate from the Jim Beam Distillery. We enjoyed a great tour during our visit. Because Limestone Branch is part of the Kentucky Bourbon Trail Craft Tour, the production site is smaller and there weren’t many visitors there, so the tour was just for us. 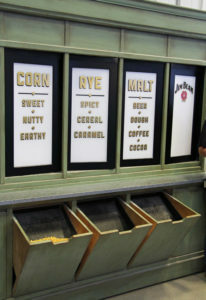 We had plenty of space to look, smell, and even taste the sour mash as it cooked in the early stages of distillation; it was fun to engage all of our senses. We had a chance to ask questions and get thoughtful responses. And then we had a chance to sample the bourbons and moonshines they produce. 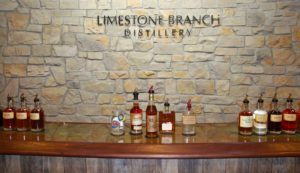 Limestone Branch doesn’t focus solely on classic bourbons; they also produce a significant number of moonshines that are absolutely worth trying. 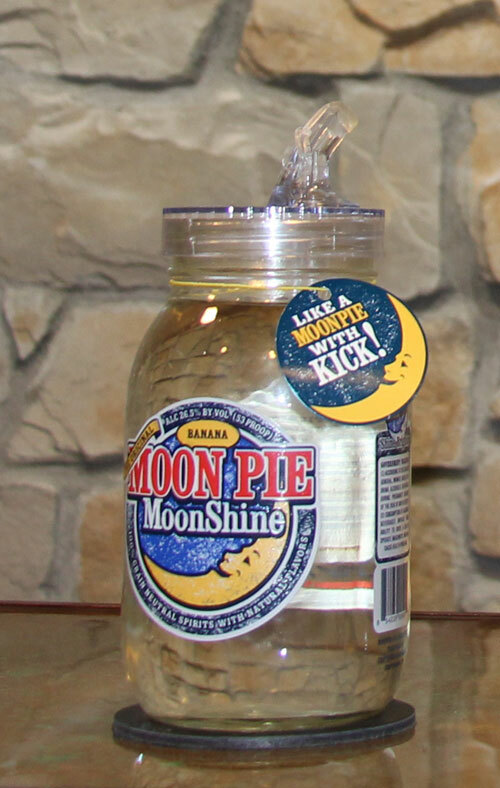 The biggest surprise was MoonPie Moonshine; we sampled the banana flavor, but I could have sworn it had more of a coconut taste. We had to buy a bottle (it was so good! ), so I’m looking forward to seeing if I taste more banana when I try it again. I also loved the apple cinnamon pie and blackberry flavors; they work wonderfully in mixed drinks as well as straight from the bottle. 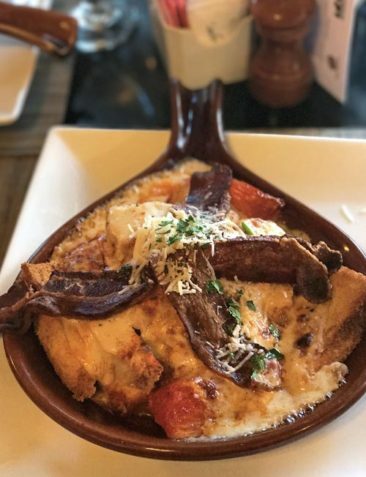 It’s not on the Kentucky Bourbon Trail, but don’t let that stop you from driving into downtown Louisville for a famous Hot Brown. This sandwich is almost 100 years old and was invented at the Brown Hotel as an answer to requests for a late night snack. It’s an open-face turkey sandwich smothered in mornay sauce with bacon and tomatoes added for good measure. You’ll find imitations throughout the United States, but try one here—it’s hard to improve on the original. Visit the Kentucky Bourbon Trail! 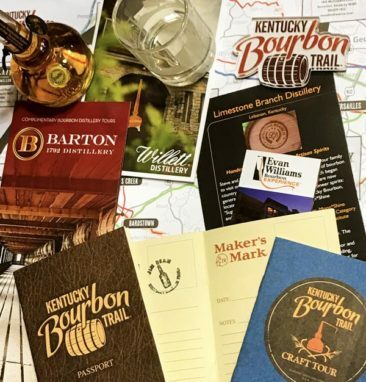 The Kentucky Bourbon Trail and Craft Bourbon Trails make for a great daytrip, weekend visit, or even a weeklong adventure. We had a terrific time sipping, learning, and enjoying ourselves as our day unfolded. If you are looking for a great alternative to wine or beer tasting, set your sights on Kentucky. We’re already looking forward to planning another trip! Thinking about a trip to the Bourbon trail? Here are a few more of our favorite food and wine articles!